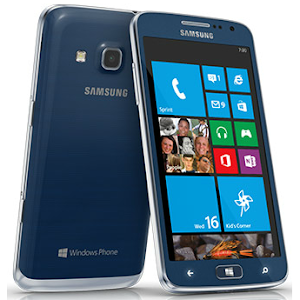 If you're a Sprint customer owning a Samsung ATIV S Neo, you should be able to get a taste of Windows Phone 8.1 "this summer" according to Sprint. Microsoft earlier today confirmed that current WP8 devices would be updated to the brand new Windows Phone 8.1 "in the coming months". Of course, this doesn't mean that all Windows Phone 8 handsets will get the update at the same time. The ATIV S Neo features a 4.8 inch touch display, 8GB of internal storage which can be expanded through microSD, an 8 megapixel camera, a secondary 1.9 megapixel camera for video calls and is powered by a 1.4GHz dual-core processor with 1GB of RAM. Windows Phone 8.1 comes with a significant number of novelties and enhancements, including: Cortana (Microsoft’s own digital assistant), Action Center, on-screen buttons, personalized home screen backgrounds, new lockscreen designs, Internet Explorer 11, and more. Sprint has not shared any plans on offering Windows Phone 8.1 handsets, though AT&T and T-Mobile have stated that they will be offering the affordable Nokia Lumia 635.